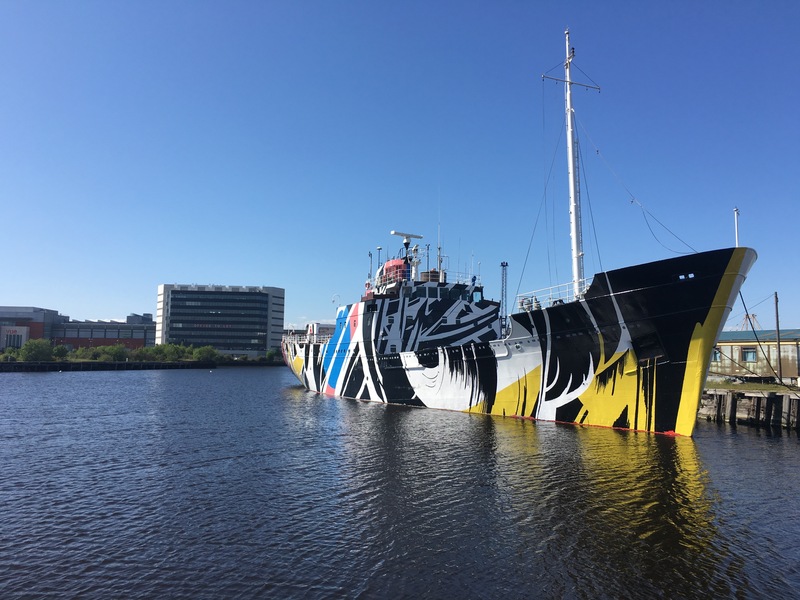 Ciara Phillips’ Every Woman, co-commissioned by Edinburgh Art Festival and 14-18 NOW, is the fourth in a series of ‘Dazzle’ ship designs developed by contemporary artists to commemorate the First World War. Designed not to camouflage, but to distort a ship’s appearance when viewed through a telescope, ‘Dazzle’ was developed by the British marine artist Norman Wilkinson to counter the threat posed by German U-Boats. Using strongly contrasting blocks of colour, stripes and curves, dazzle designs transformed ships into a confusing array of multi-directional shapes, making it difficult to gauge a ship’s direction or speed. Nominated for the Turner Prize in 2014, Ciara Phillips works mainly in the medium of printmaking, attracted both by the physical process itself, as well as the long established history of print as a medium for exploring and expressing political and social ideas. Often working on a large scale, Phillips has co-opted entire rooms as surfaces on which to apply her prints, bringing together multiple layers of individual images and repeated pattern in a single installation. 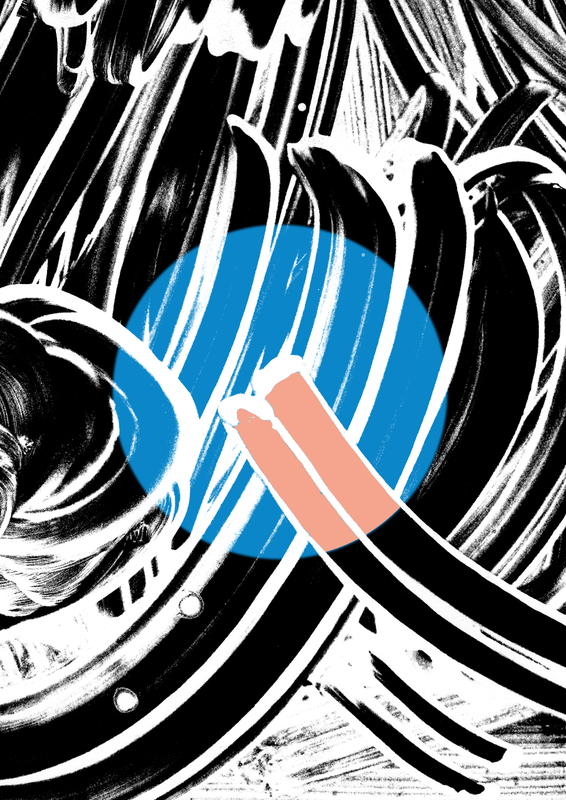 Every Woman significantly expands this approach, drawing on several of Phillips’ earlier screenprints to cover the entire surface of the ship with a bold gestural design. Phillips has a longstanding interest in signs and signals, and overlaid on the surface of Every Woman is an encoded message painted in retro-reflective pigment. Celebrating the ship’s former role as a lighthouse tender (for over 30 years, the MV Fingal worked to bring supplies to some of Scotland’s most remote lighthouses), Phillips’ message – Every Woman a Signal Tower – will shine out through the darkness at night-time. In developing her design, Phillips was drawn to the lesser known histories of women in the First World War. The vast majority of dazzle designs were devised by a largely female team working under Norman Wilkinson in a dedicated department established in the Royal Academy, London; and across Edinburgh, Scotland and the UK, women entered the workplace in a wide array of roles (including as telegraphists and signallers) as part of the extended war effort. Every Woman was produced by Suzy Glass on behalf of Edinburgh Art Festival. Every Woman is co-commissioned by Edinburgh Art Festival and 14-18 NOW: WW1 Centenary Art Commissions with support from Scottish Government, Creative Scotland, City of Edinburgh Council, The Royal Yacht Britannia Trust, Forth Ports, Sherwin-Williams, the National Lottery through the Heritage Lottery Fund and by the Department for Culture Media and Sport. 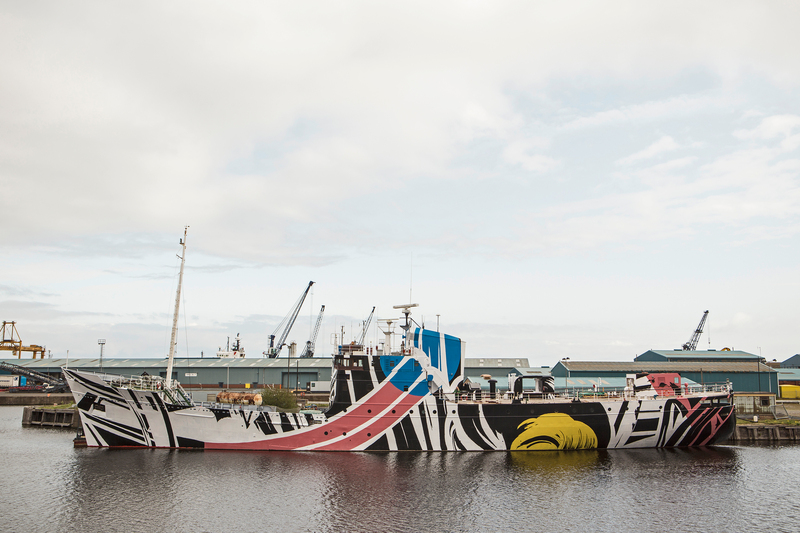 The Dazzle Ship series is co-commissioned by 14-18 NOW, Liverpool Biennial, Tate Liverpool and Chelsea College University of the Arts. In association with Merseyside Maritime Museum and HMS President (1918).